The Facelift/MiniFacelift is perhaps the prototype of all cosmetic surgical procedures. Nowhere is aging more visible than in the face and neck. Redundant skin, jowling, neck bands, droopy cheek tissue, etc., are the areas of most concern and are addressed with these procedures. The goal, as always, is a natural result, effectively turning back the clock, with a softer, more youthful contour. The eyelid region is often the first area to show signs of aging. Redundant, hanging eyelid skin, droopy soft tissue, visible fatty bags and lines are addressed with a blepharoplasty procedure. A more rested and youthful appearance is the goal. The outer forehead/temple region is yet another area of the face that is prone to sagging. A gentle lift in this often neglected area can also rejuvenate the eyelid region and the upper face. Dr. Shuter is pleased to offer state of the art laser and IPL (Intense Pulse Light) technology in a safe, comfortable office setting. Depending on skin condition and patient goals, Dr. Shuter can help navigate the decision process with a broad array of laser, both ablative and non ablative as well as IPL/photo facial. These procedures are performed exclusively by Dr. Shuter himself. Dr. Shuter is proud to offer a full range of neuro toxins (Botox, Dysport, Xeomin) and soft tissue ﬁllers (Juvederm, Voluma, Belotero, Restalyne, Perlane and autologous fat injections). 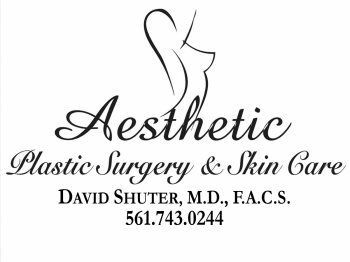 These injectables are performed exclusively by Dr. Shuter who has broad experience and expertise.